Sometimes, just like your old man, your tree needs a little taken off the top...and the sides...and j﻿ust ﻿﻿generally﻿ ﻿﻿spruced﻿﻿ up! That’s where we come in. Edmond Tree has made our money on beautifying trees. That’s what we’re good at, and that’s what we’ll do until we leave this spinning ball of dirt. As they grow, trimming young trees trains them in the correct way to grow, thus obtaining a healthy form and structure. 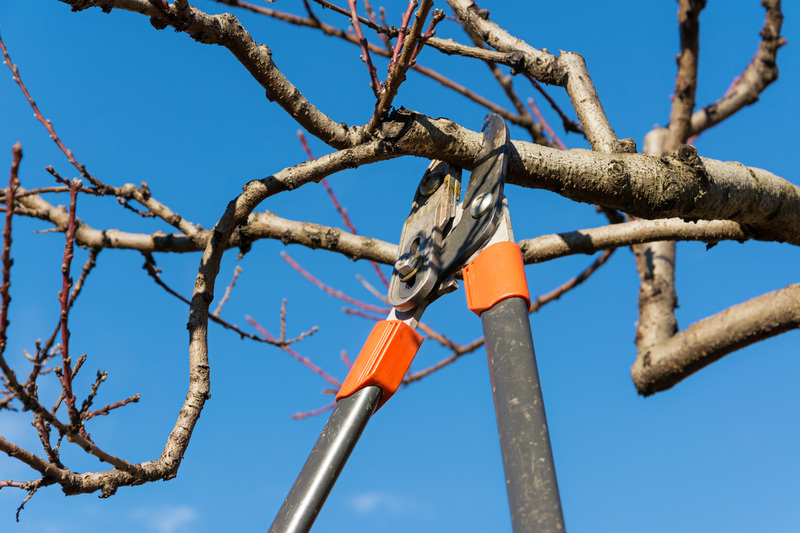 When dead limbs are removed on a regular basis, it prevents trees from developing rot and decay. Regular trimming gives sunlight more of an opportunity to penetrate through the tree and on to the lawn. Allows the tree to be more visually appealing. On overgrown trees, tree trimming allows the overall size to be significantly reduced thus giving the tree greater structural integrity. Trimming is an important aspect of the upkeep of your tree, but remember, from the roots to the crown, we handle it all. Give us a call today. You’ll be glad you did! At Edmond’s we understand that tree trimming is an artform, a skilled task that needs to be completed by professionals. Trees are strong, sturdy pillars of the Earth, but too much trimming back can be too much for them. In most cases, trimming from large, established trees are not for the weekend DIY’r. ​Tree Trimming isn’t for Everyone. Individual conifers, like the mighty Douglas Fir, can grow hundreds of feet into the air. Their extensive trunks can support thousands of pounds of branches. Trimming back those great, long, thick branches is a dangerous undertaking. The right equipment, safety measures, and professionals are needed to make sure tree trimming is completed safely and securely. Take the mighty Oak, a deciduous tree that, while may not reach the height of the Douglas, does still reach breathtaking heights, and possesses massive branches that can almost look like a tree trunk themselves. Depending on the species of tree, trimming can cause the tree to flourish and sprout new branches in spring, or accidental over-trimming can cause the tree too much shock and result in the death of the tree. Flowering trees are known for being finicky. Too much trimming can cause the tree to become dormant and not flower (which is why you loved the tree in the first place) or cause it to wither and die. At Edmonds, we understand that emergencies happen. That branch that you thought could last through the winter didn’t, and now is fractured and using your roof as support. Edmond’s will dispatch emergency crews to your residence to assess and safely trim and remove branches that have fractured, weakened, and are in danger of breaking from your trees. Leaving the trees healthy and ready to sprout once spring hits. Infected trees don’t mean death. Edmonds employs skilled trimmers to diagnose and analyze diseased trees. Proper care and trimming can, in some cases, save the tree! Invasive species can grow and choke out native trees in many instances. Edmonds will remove the invasive species and trim your trees to promote growth and renewal. If you are unsure whether you have a diseased tree on your hands or an invasive species, don’t hesitate to contact Edmonds. We offer comprehensive assessments for your property. Tree Trimming involves more than just grabbing clippers and chopping at your trees willy-nilly. It is a science that requires specialized training. So sit back, and let Edmonds complete your trimming needs.